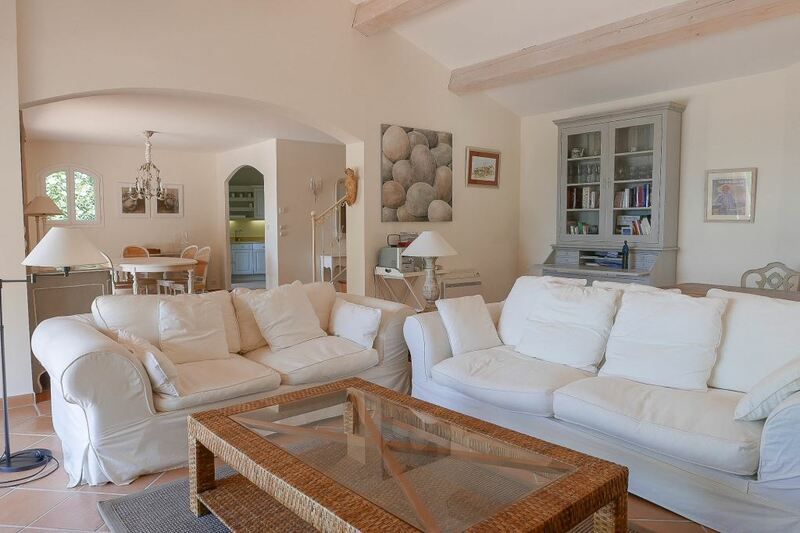 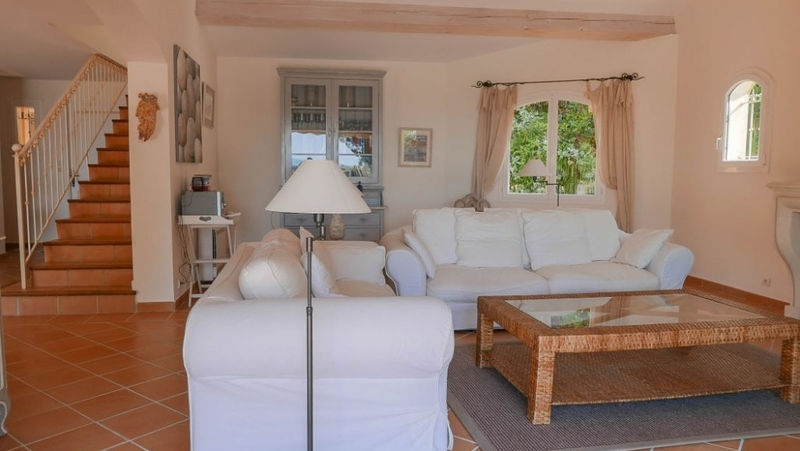 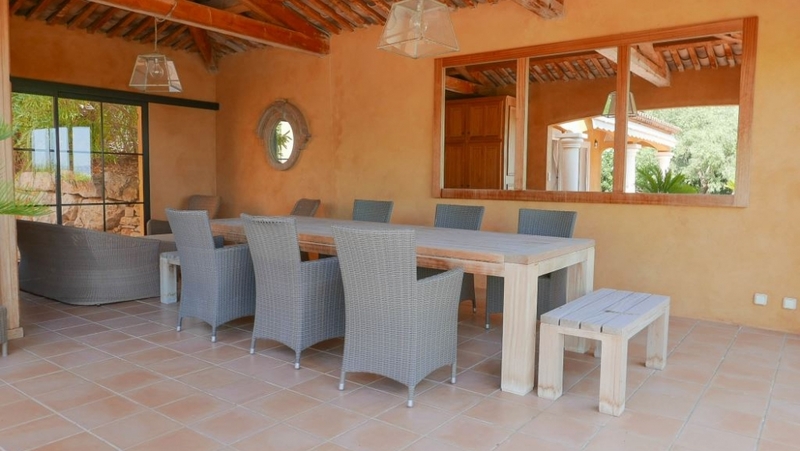 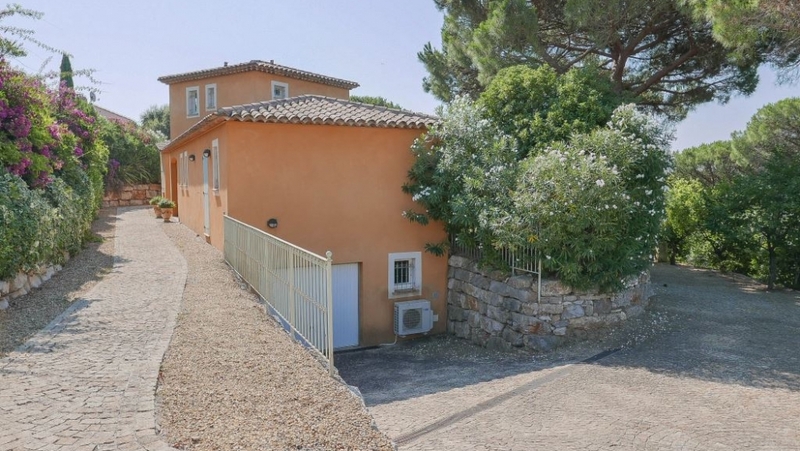 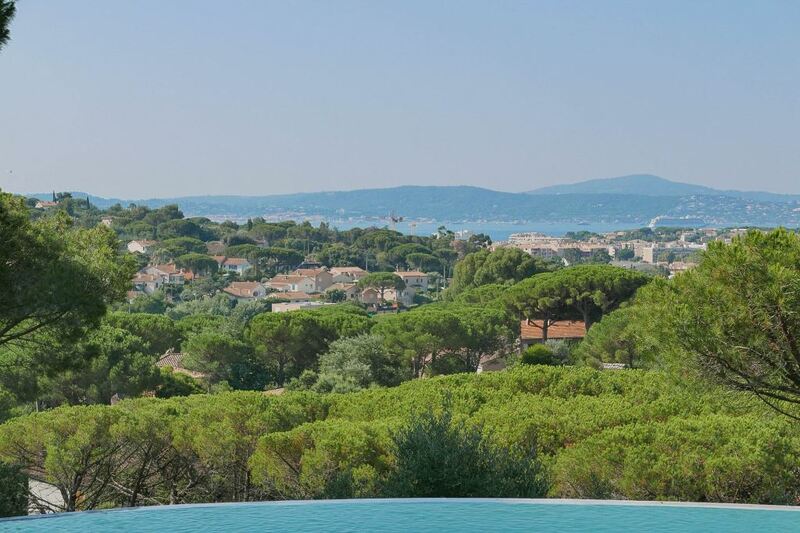 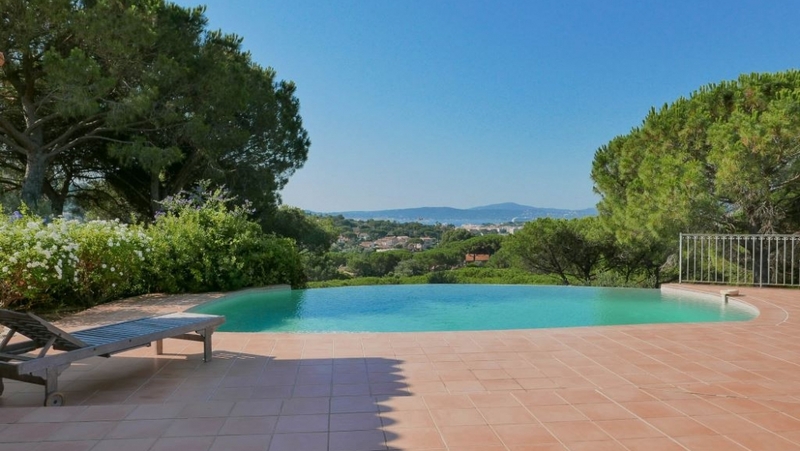 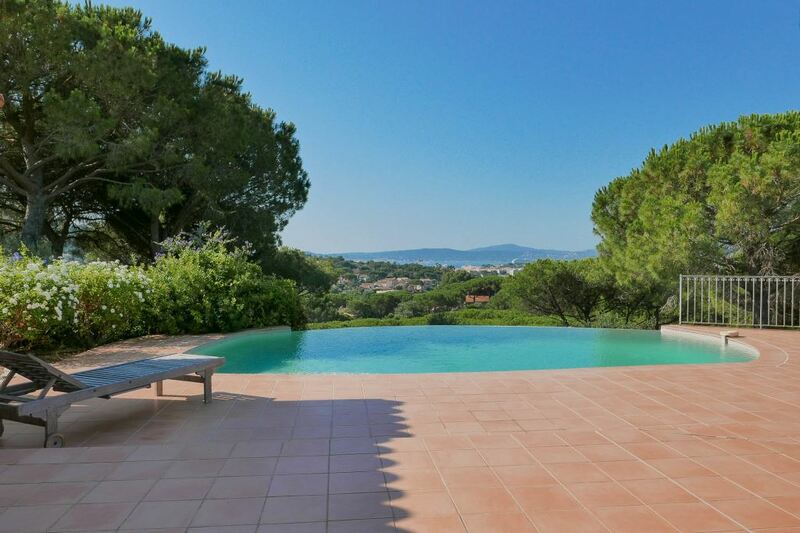 This lovely Neo Provencal villa is set on a south facing plot of 1.500 m2 offering a beautiful view of the green surroundings and the bay of Saint Tropez. 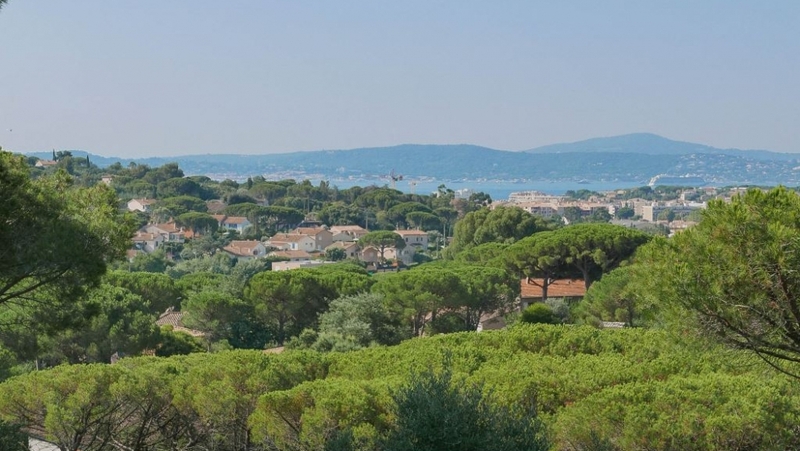 In the distance you can see the famous St. Tropez lighthouse. 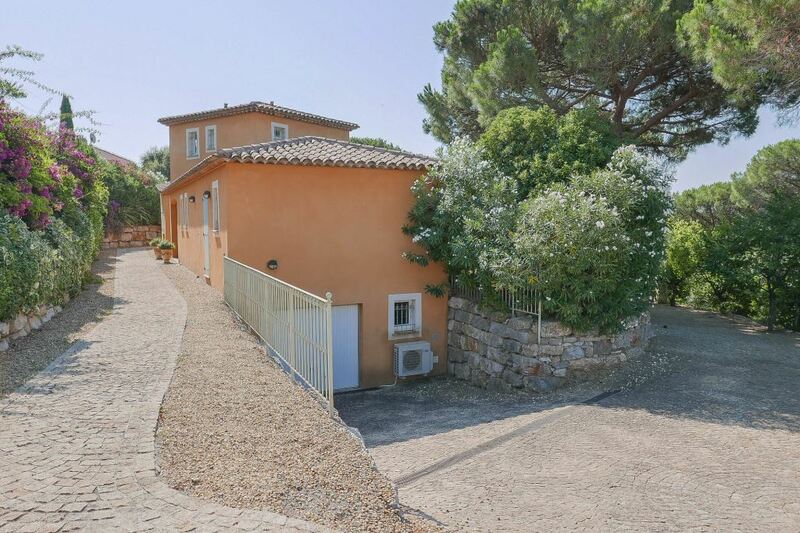 Peaceful location with a private domain, yet close to the lively centre of town with its many shops and good restaurants. 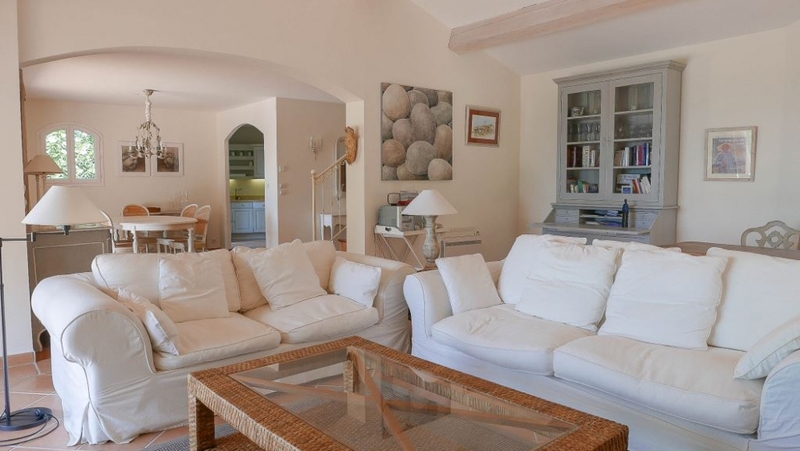 The villa was build in 2002 and is in an immaculate condition. 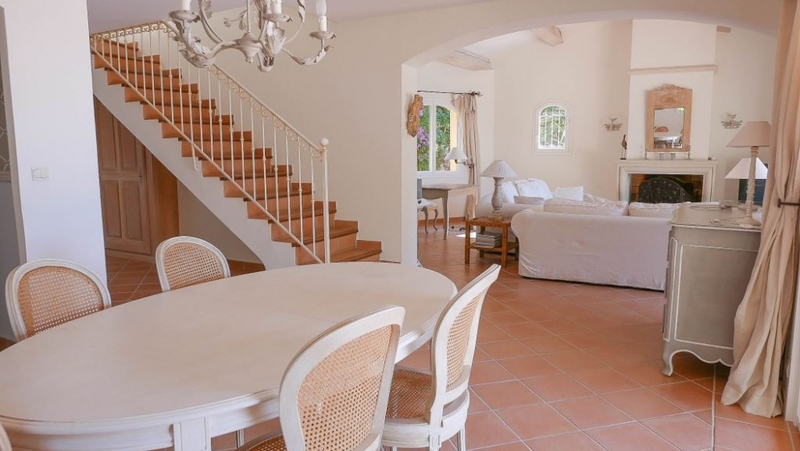 There are four bedrooms with bathrooms. 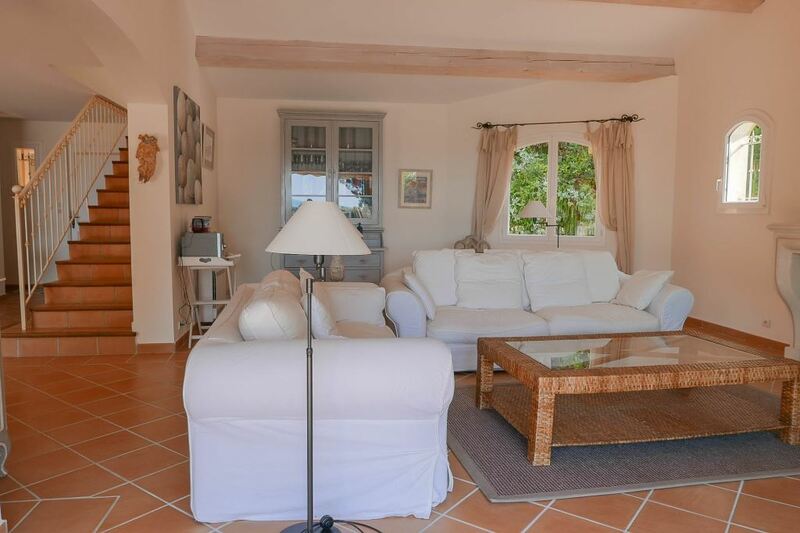 Three of the bedrooms are located on the groundfloor level. 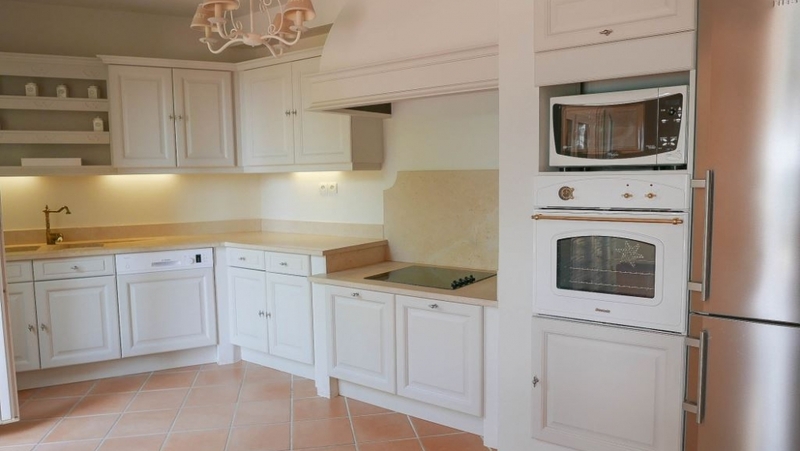 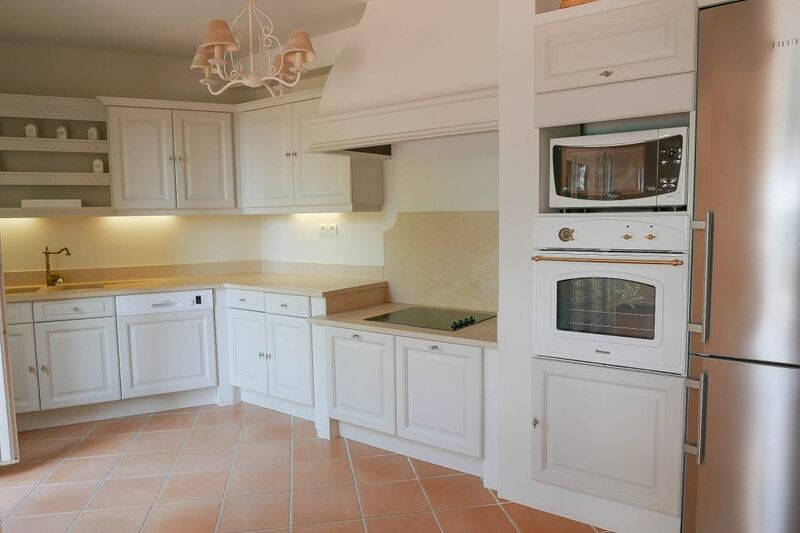 Here you will find as well a bright and sunny living and dining area and a good sized fully equipped kitchen. 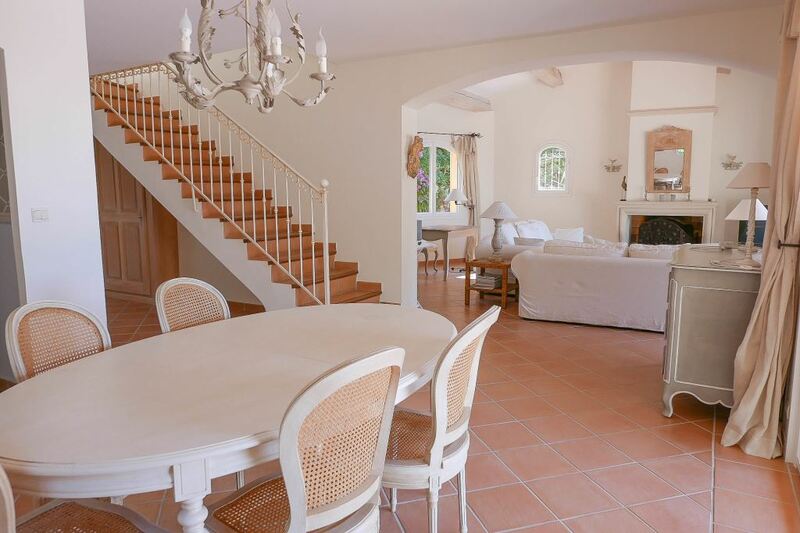 The master bedroom with a private sun terrace is located on the first floor. 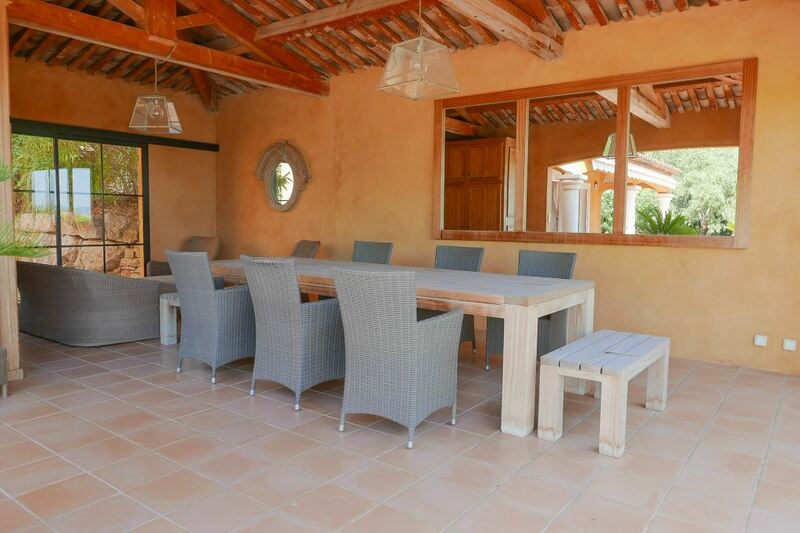 There is airconditioning, underfloor heating, a double garage and an alarm system. 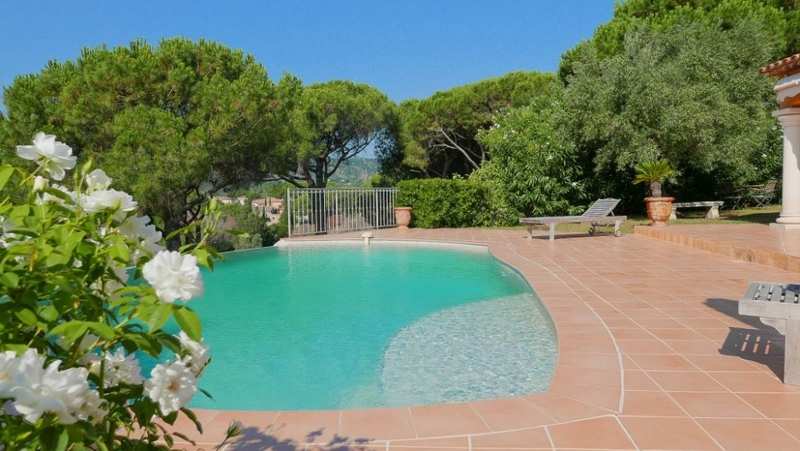 Outside you will find a lovely heated infinity swimmingpool surrounded by sun terraces. 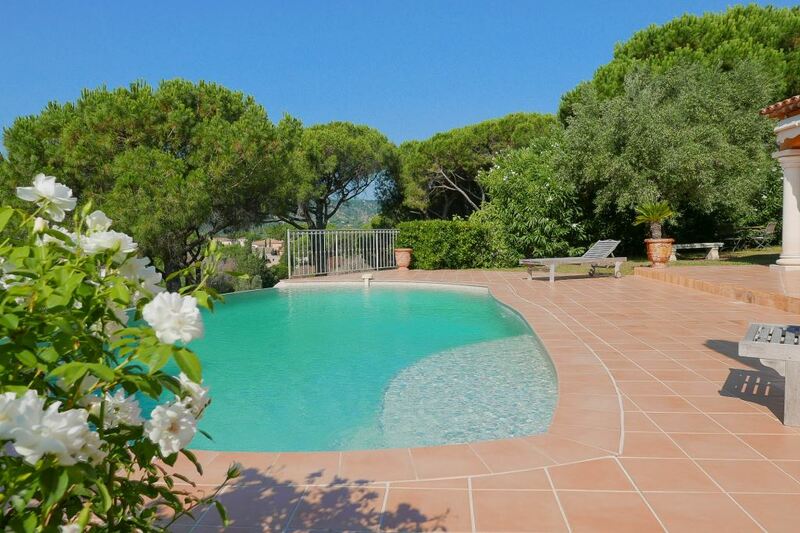 There is a big poolhouse, ideal for you al Fresco dinners.